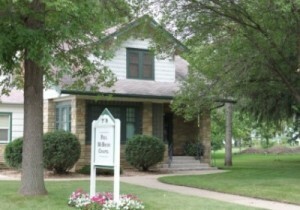 The original funeral home in Lester Prairie was owned by A. G. Mueller. 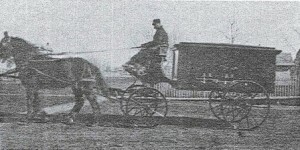 There is little record of his ownership or how he came to Lester Prairie. In 1917, A. G. Mueller sold his undertaking business to Paul Weise and John Kuhlmann, (Weise’s father-in-law) partners and entrepreneurs, since 1902. Together they owned and operated several businesses in Lester Prairie, including a hardware store. 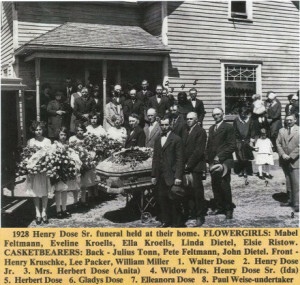 After Weise and Kuhlmann purchased the undertaking business they moved the caskets to the second floor of their store and used the room formerly used to display pianos as a funeral parlor. 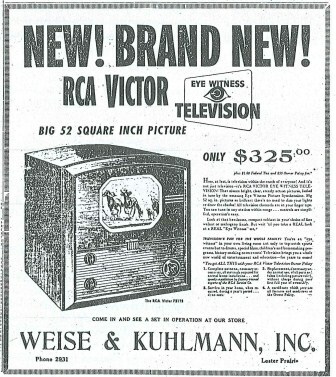 In 1927, the firm of Weise and Kuhlmann incorporated and although both of the senior members had passed away Mr. Weise’s sons, Gilbert and Walter attended the University of Minnesota and became licensed embalmers and funeral directors and continued to serve the community of Lester Prairie. In 1950, the funeral business was taken out of the corporation by Gilbert Weise and became a separate establishment. Gilbert continued to operate the funeral home until 1973, when it was purchased by Kenneth Paul. On December 31, 2009, Robert and Richard Hantge of Hutchinson, Minnesota purchased the McBride Funeral Chapels in Glencoe, Norwood Young America and Lester Prairie. Paul Weise driving the hearse.